• For 42 percent of home buyers, the first step in the home-buying process was looking online for properties and 14 percent of home buyers first looked online for information about the home buying process. • The use of the Internet in the home search rose slightly to 92 percent. 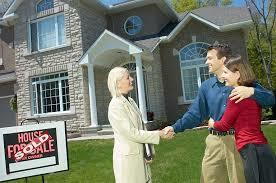 • Eighty-eight percent of sellers were assisted by a real estate agent when selling their home. • Two-thirds of home sellers only contacted one agent before selecting the one to assist with their home sale. • The share of home sellers who sold their home without the assistance of a real estate agent was nine percent. Forty percent knew the buyer prior to home purchase. • The biggest problems for owners selling without professional assistance were getting the price right (13 percent), preparing the home for sale (12 percent), understanding and completing paperwork (8 percent), selling within the planned length of time (7 percent), and having enough time to devote to all aspects of the sale (6 percent). • The median selling price of an open-market FSBO home was $184,000, while the median price for all agent-assisted sales was $230,000. What do these statistics mean to a seller in Sarasota? 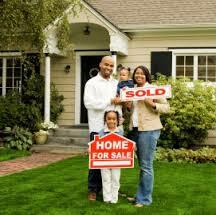 Marketing done professionally will draw more home buyers to your property. Intelligent internet positioning and information provided to buyers will expand the pool of buyers for your property. You may be one of the 9% of seller that sold your house by yourself especially if you knew the buyer before hand. Pure “For-Sale-By-Owner” transactions – where the seller did not know the buyer – remain historically low at six percent. However, the chances of good success are increased if you are one of the 88% of sellers that were assisted by a real estate agent in Sarasota. A competent Realtor is going to be your best source of advice when it comes to pricing, preparing your home for sale, negotiating, and managing the details. Plus, the selling price will be higher and that is the bottom line. Next Post If My Tree Falls On My Neighbors Property, Who Is responsible?